Save With Shareagift Towards … Pet Gifts! Want to show your pet that it means the life to you? 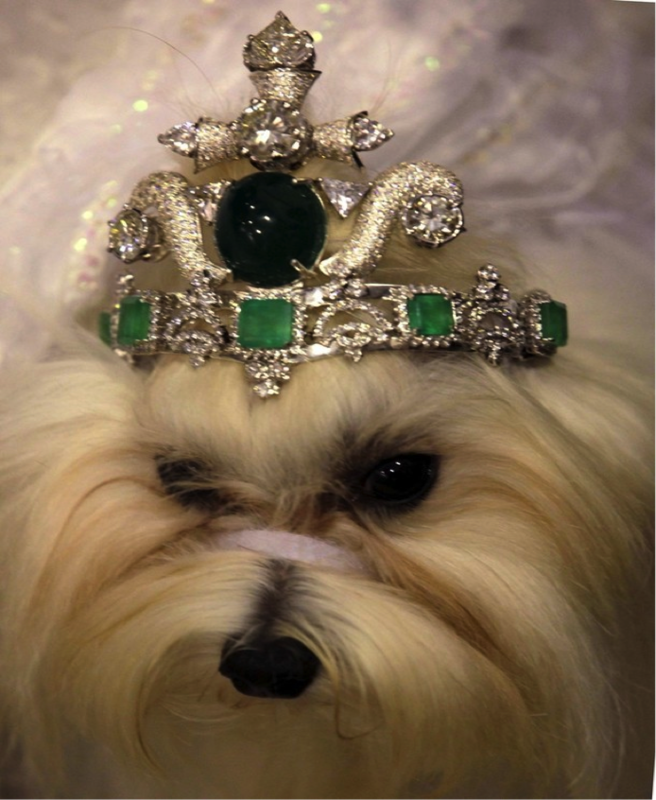 Check out these Top 5 expensive pet products to pamper your pet with the best. Do something for your pet that welcomes you with joy every time. 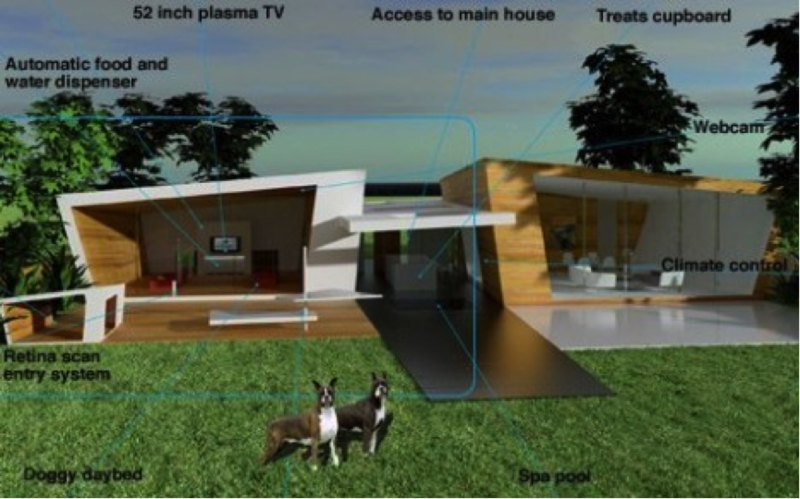 It comes with a 52 inch Plasma TV, a temperature controlled dog spa and a day lounge! With automated food dispensers and self-cleaning bowls, your pet could possibly lose any opportunity of ever interacting with you. With webcams constantly monitoring your pet, the only thingsthat the house lacks is an ‘automated litter box’. This crystal pet house is actually designed by Hello Kitty, and is meant to accommodate pets of any size. 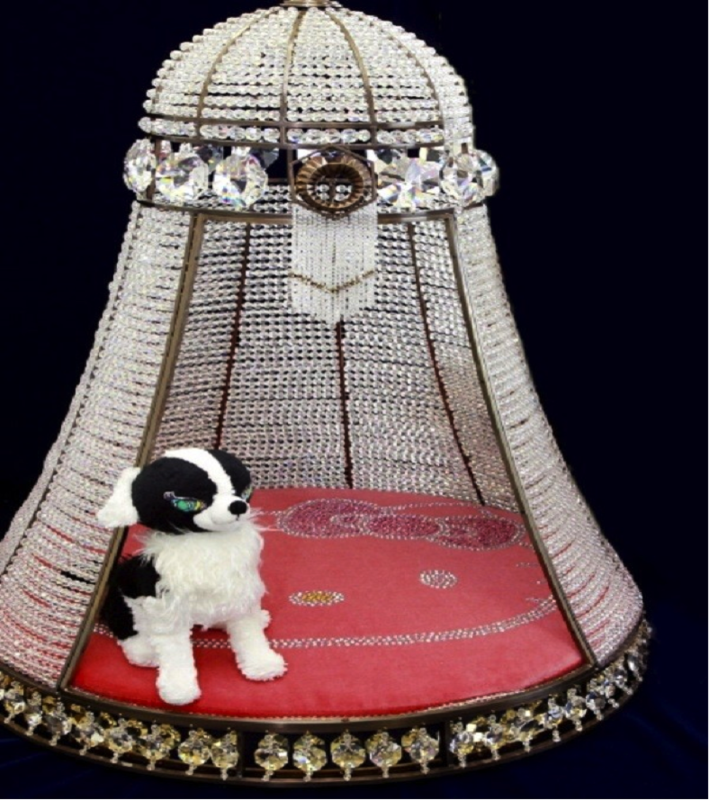 The pet house has been encrusted generously with more than 75,000 crystal beds. Don’t bother looking for a toy for your pet if you have bought this crystal house, as your pet will pretty much manage to scratch off all the crystals. 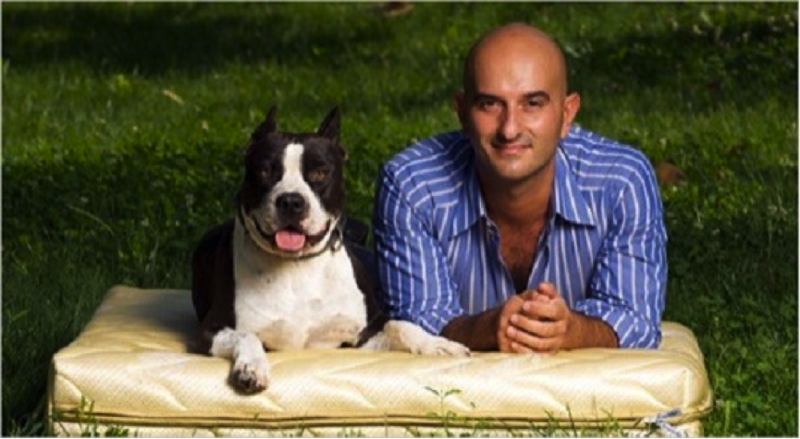 The owner of this dog who decided to buy this custom-made 22k Gold Thread Mattress, is a blogger who has never owned a brand new mattress himself. If you require a gold thread mattress designed for humans, you can get one at $30,000 as well. If you have bought the best for your dog in every other category, why exclude accessories and clothes off the list? Roberto Cavalli’s line of pet clothes known as ‘pooch couture’ has quite a few varieties of satin bathrobes, silk shorts and velor tracksuits. You can also get some hooded pyjamas, to protect your dog from the cold. Want to celebrate the happiness and joy that your pet gives you? Invest in some of these expensive products and win your pet’s heart. Pamper your pet with the very best by collecting money online from friends with Shareagift. Start a page on Shareagift today and show the love you have for your pet. Previous PostTop 5 Incredibly Random Pubs You Must Try In New York!